While passing through San Diego last weekend, I had the opportunity to view Tara Donovan’s awe-inspiring exhibition (October 25, 2009 – February 28, 2010) at the MCASD. 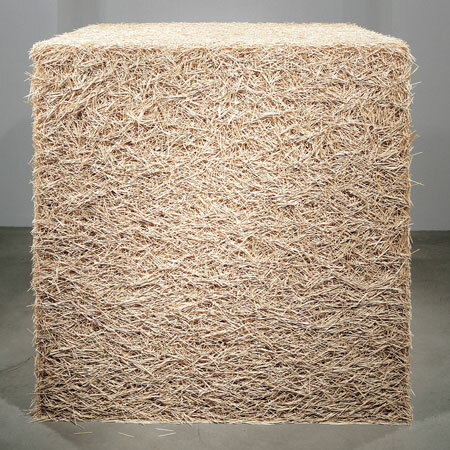 In the artist’s hands, common, mass-produced items – toothpicks, buttons, drinking straws – becoming captivating sculptures. 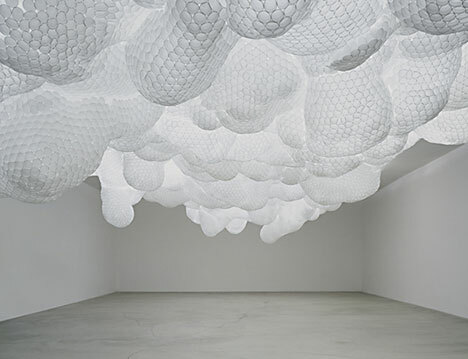 Tara Donovan, an American sculptor transforms huge volumes of everyday items into stunning works of phenomenal impact. Assembled, layered, piled and clustered into large volumes, with an almost viral repetition, these products assume forms that both evoke systems and seem to defy the laws of nature. Her materials do not abandon their original shape; instead, upon being combined, they create increasingly novel structures. 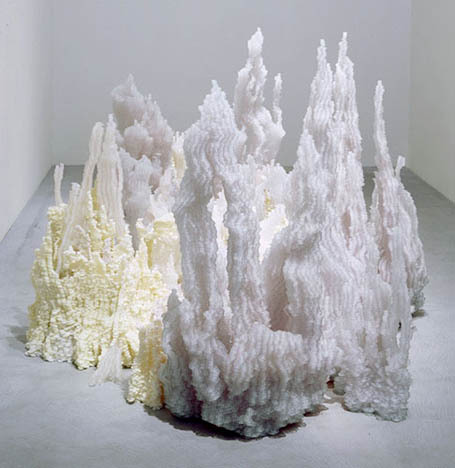 It is easy to recognize Tara Donovan’s work as descendant of various legacies associated with the transposition of utilitarian materials. In stretching the contextual boundaries of the gallery to accommodate the rebirth of common manufactured objects, Marcel Duchamp’s scandalous ‘readymades’ opened a veritable floodgate. Many artists over the course of Art History have exploited his conceptual formula and, in doing so, formed a lineage of resonant practices contingent upon the relationship of everyday life to art.